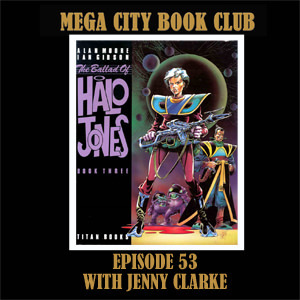 The month of weekly pods continues and it's time for some nepotism as my daughter Jenny joins me to revisit the all time classic Halo Jones. I think this is a fascinating chat (but I would say that, wouldn't I) and is intended to supplement Rachel and Sheridan's discussion in episode 17. *pssst* Rachael has two 'a's in her name! BTW although I have a huge list of books to get to I am also open to future revisited episodes if anyone wants to pick a book that has already been done. And here is a truly gorgeous grail page for Jenny Clarke. 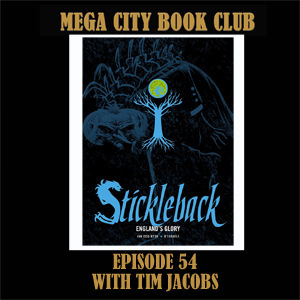 It's the last of the pod-a-week broadcasts and also the last of this year's Thought Bubble recordings as I sit down with Tim Jacobs to discuss the Victorian villain of the piece, the crooked man himself, Stickleback. 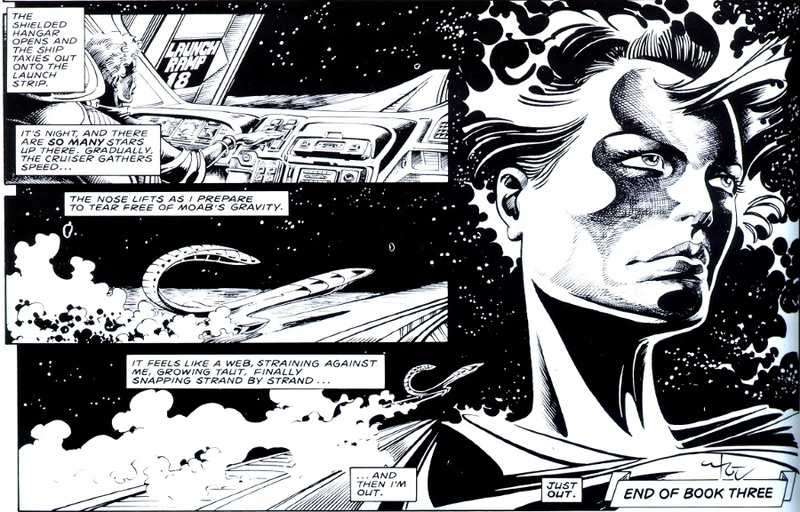 You'll be pleased to hear we are mostly spoiler free as we chat about the wonders of Ian Edginton's writing and Matt "D'Israeli" Brooker's atmospheric black and white art. And a very Happy Christmas to all my listeners. 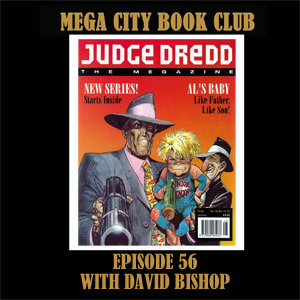 Mega City Book Club will be back in two weeks with Al's Baby. Does mostly spoiler-free mean that spoiler? You know the one, on the last page printed to date? Yes, we do indeed avoid that biggie. Tim was extremely careful on that point. And while we're at it here is Tim's Grail page. A fresh delivery to your pod-catchers this morning! The first of 2018 and Ben Penfold-Marwick joins me from Oz to talk Al's Baby. We try not to spoil things but hint: he does have a baby. And here's a big, bouncing and beautiful grail page. This is a great page! It's so silly and completely of its time. I think the Demi Moore photo was only a month or so before this cover? It's definitely close! 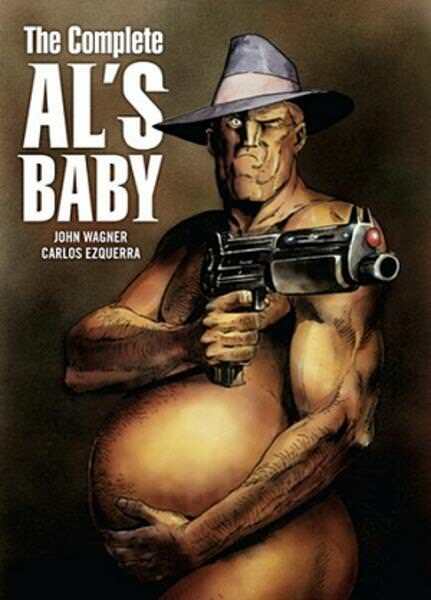 It's interesting what kind of weird and fun stories the Megazine allowed creators to tell, like Al's Baby or the Taxidermist. Yup, just 4 months between the More Moore cover and Megazine 1:15. You can hear more about the conception of this cover next week when the voice of Tharg, David Bishop, joins me for another bonus show. And welcome back, Space Spinner 2000! Another bonus episode with the voice of Tharg. David Bishop is back to talk about the conception of Al's Baby, creator owned strips, and how that famous cover came about. Ooh. Looking forward to this one. 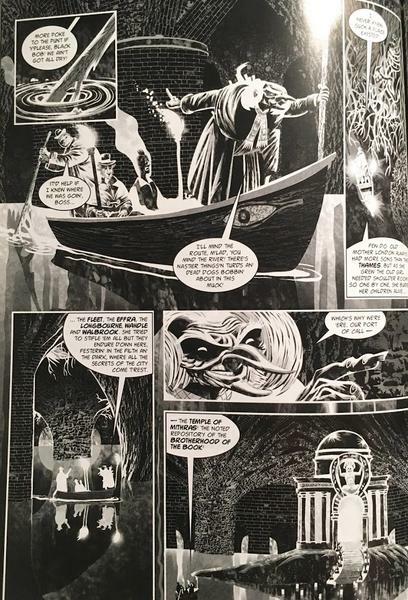 It's the most famous page in British comics and I spoke to the lucky guy who owns it. 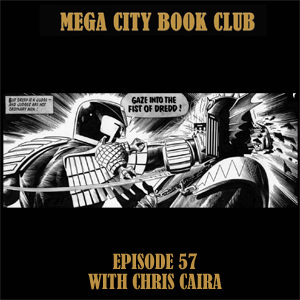 You may want to have Chris's comic art fans page open while you listen to this one. What’s the grail page this week, then? Chris still has grail pages. Two of them are from 2000AD.